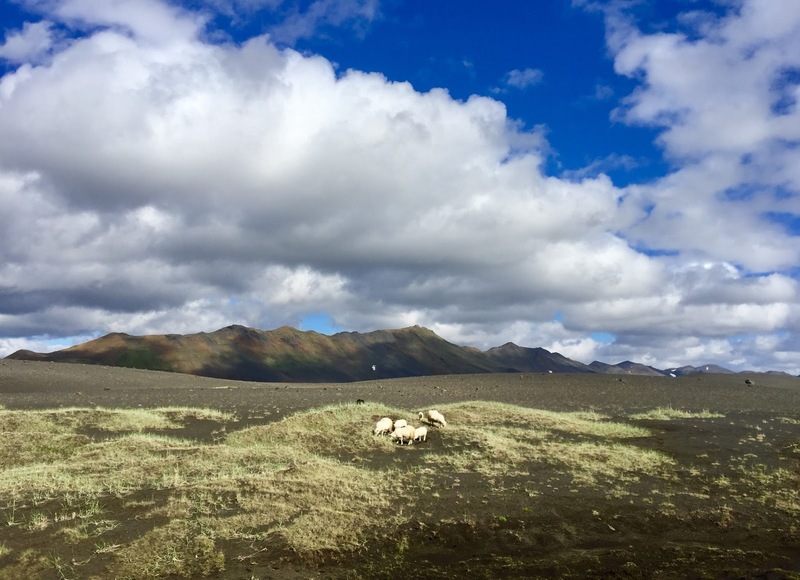 If you're just joining, today I'm sharing the fourth leg of our road trip around Iceland. 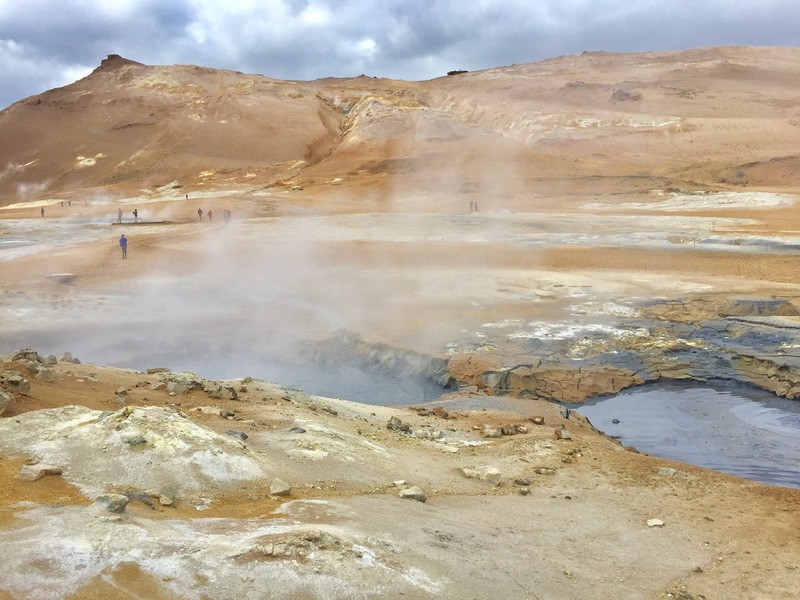 You can read about other parts of our road trip on the blog as well: Reykjavik, the South Coast, and the Eastfjords. Today I'm covering the stretch of our trip from Egilsstaðir to Myvatn in Northeast Iceland, which was both an incredible and harrowing experience. We unfortunately took a wrong turn and almost ran out of gas! We wound up miraculously coasting into a petrol station in Myvatn in neutral. 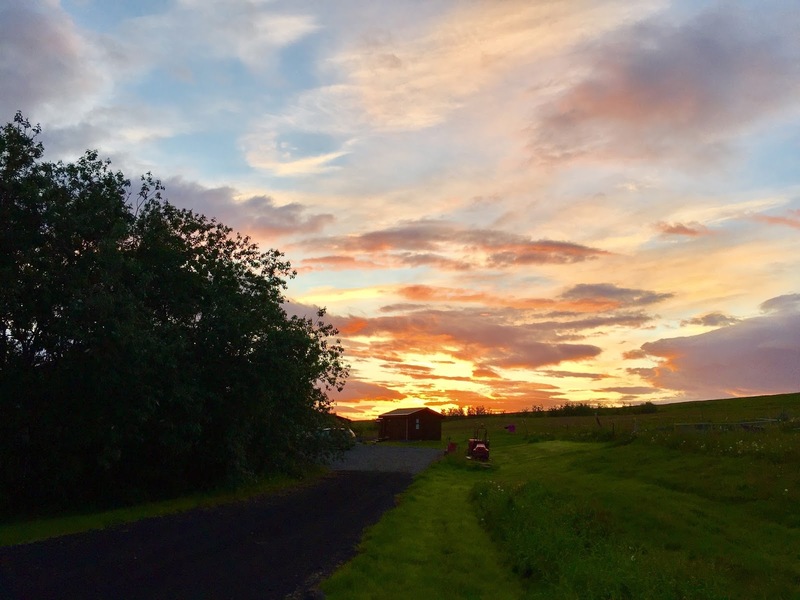 There's hardly anything once you start heading north so make sure you've got a full gas tank before you leave Egilsstaðir! We stopped in one very tiny town, Möðrudalur which literally had a church, a petrol station made of turf houses (this was before we took the wrong turn), and one very cute restaurant, Fjallakaffi, where we stopped for coffee and waffles. We had planned on stopping at Dettifoss waterfall but couldn't afford the gas. 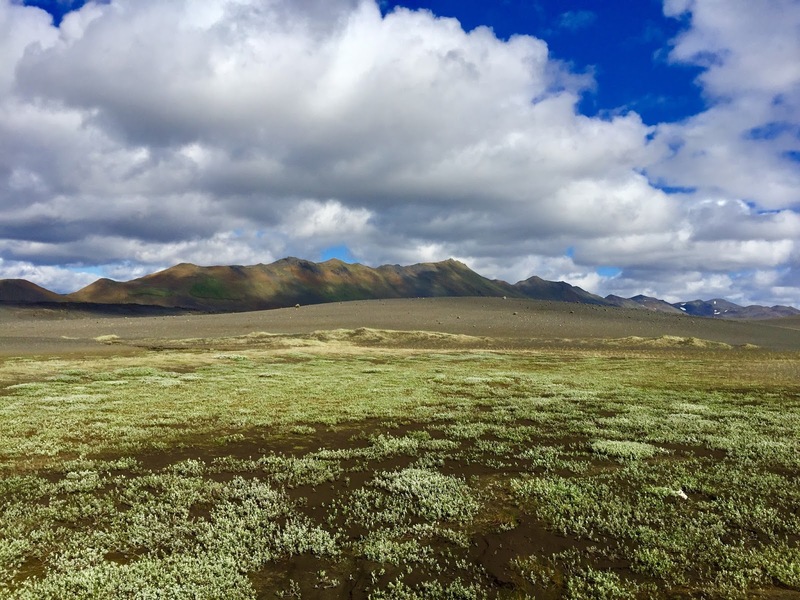 Once we made it to North Iceland and filled up the gas tank we had a much better experience. 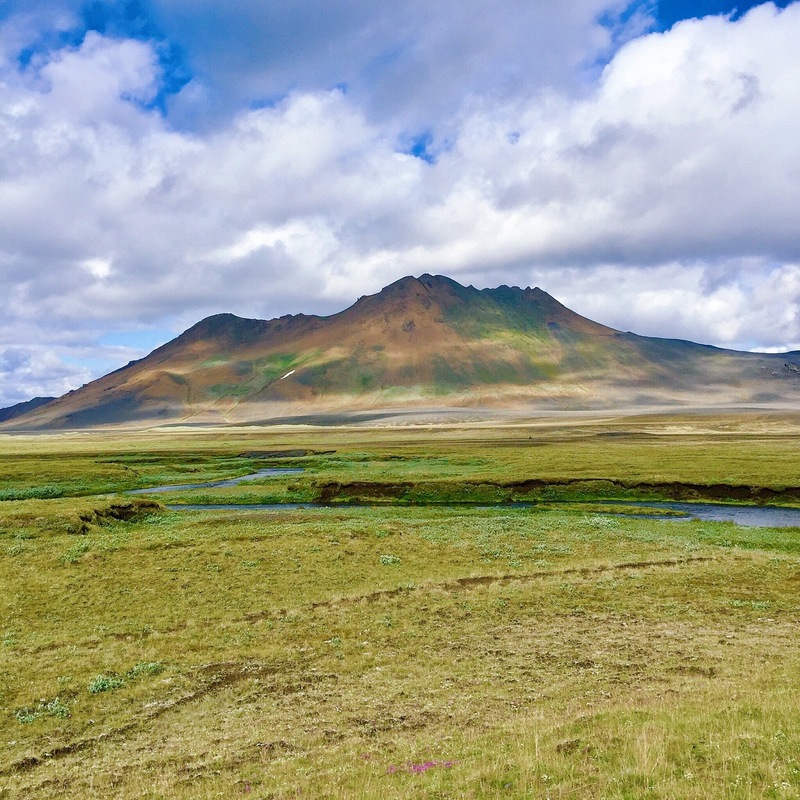 North Iceland is quite a remarkable landscape, the colors here were very different from the beautiful green and brown hills and glacial blues we encountered on the South coast, instead there were sprawling landscapes with red dirt and bubbling mud pots. 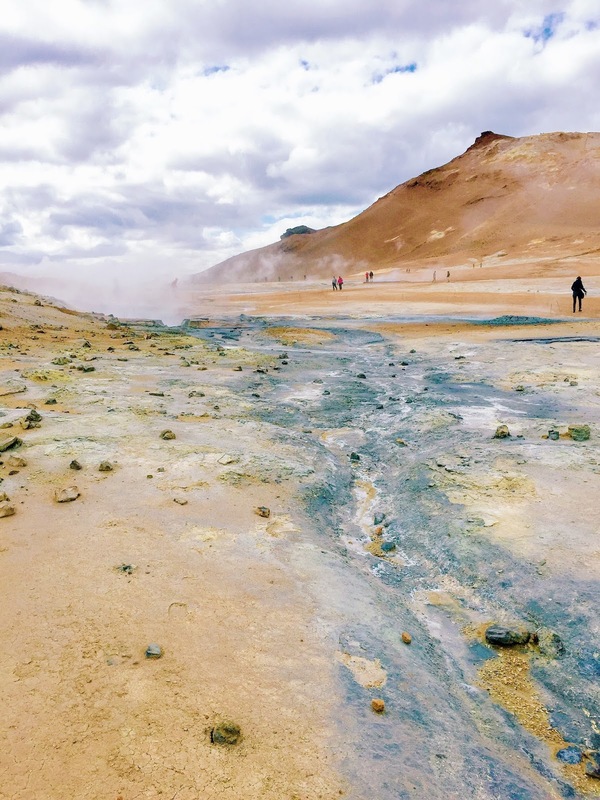 The Myvatn region felt like we had landed on Mars. 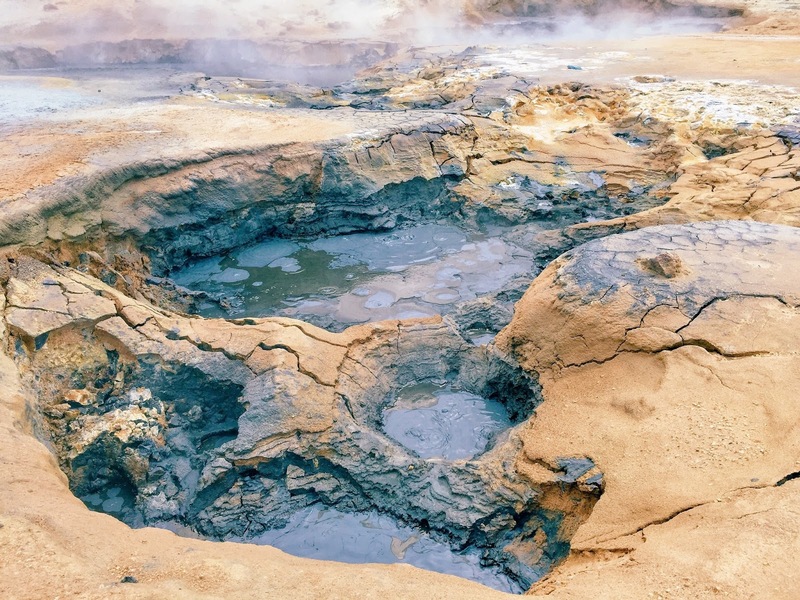 Our first stop was Hverir mud pools, an area with a ton of geothermal activity and steam fumaroles. After exploring a bit, we took our nerdy selves to Grjótagjá cave, a filming location for Game of Thrones, or where Jon Snow sealed the deal with Ygritte. And yes, it was pretty cool. Very close quarters though, it is literally a cave. Since we drove the ring road, we opted to skip the Blue Lagoon in favor of the smaller, less expensive, and less touristy Myvatn Nature Baths. I really became the biggest fan of soaking in hot bodies of water all throughout Iceland -- it is so relaxing! 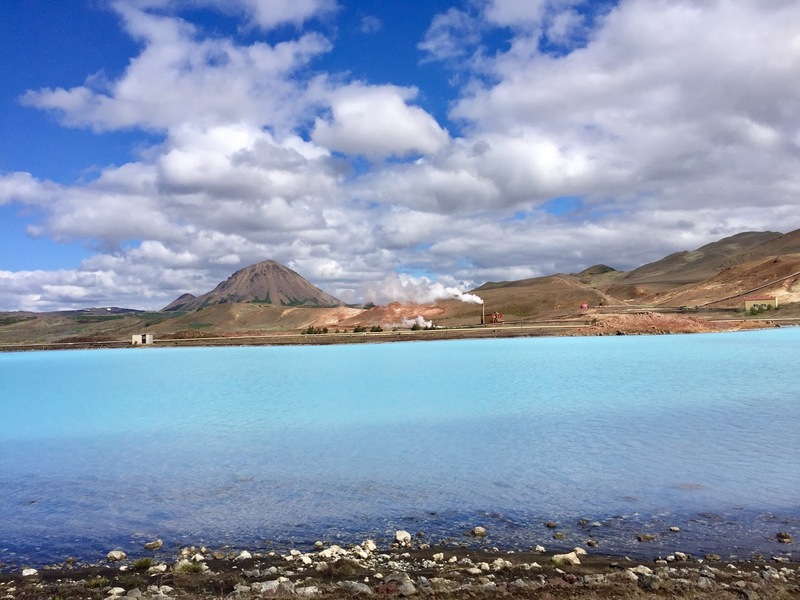 Personally I don't feel like we missed out by skipping the Blue Lagoon, but if you're not traveling to Myvatn I would make sure to stop there. We stopped for lunch at Vogafjós which is also a farm with lots of cows. We wanted to do Viti Crater but lost a lot of time when our car wouldn't start (seriously, harrowing day!). 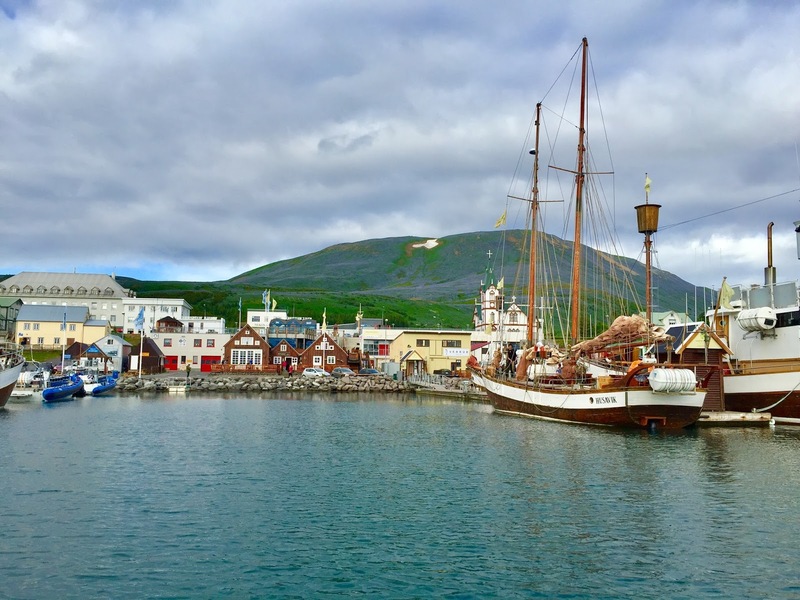 Instead, we continued on to Husavik. 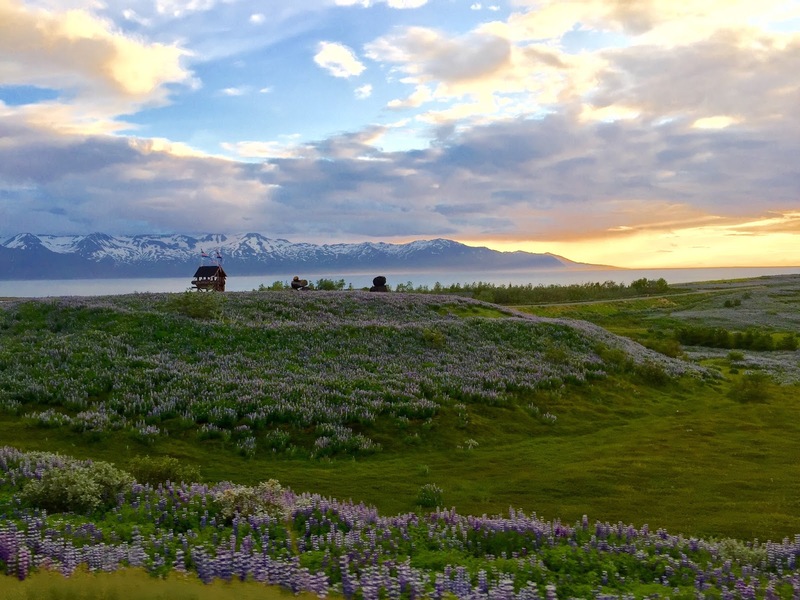 Our evening in Husavik was rather remarkable. 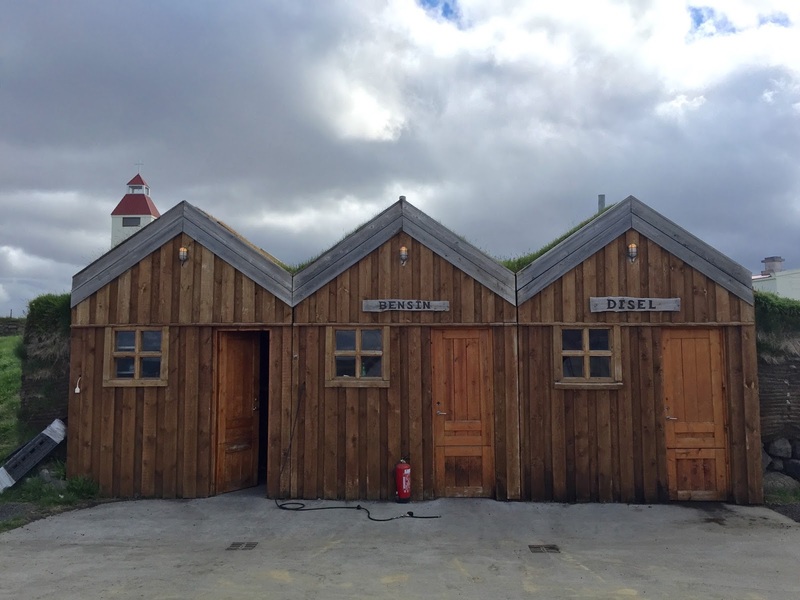 The town is quite charming and is Iceland's whale watching capital. It's unique waters grow many different types of plankton which attract over 12 different species of whales. 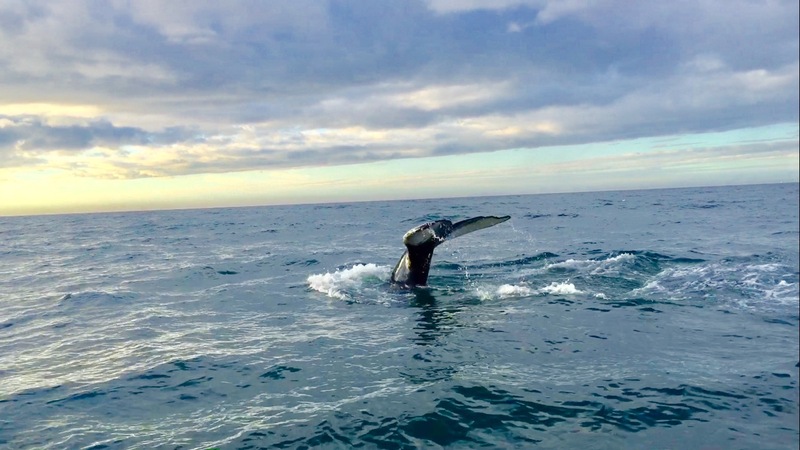 We of course opted for an evening whale watching tour and were lucky enough to see puffins, several humpbacks, and the rare blue whale (mama and baby - the largest animals on planet earth!). After whale watching, we had delicious seafood dinner at Naustið with a great view overlooking the mountains and the bay. Driving towards our hotel we got a marvelous view of Iceland's infamous midnight sun. I'd recommend staying at The Arbol if you can, it looked wonderful but was fully booked. Instead we stayed at Hotel Rauðaskriða where we would up with a flat tire. The worst car luck that day! It took quite some time to change the tire as we were parked on lava rock - not the most sturdy. But we did survive! And our night ended with a marvelous almost sunset. Next up: North Iceland and Akureryi. My god!! Did you capture the image of the whale yourself?? That's beautiful!!! I bet you had the time of your life!! Lucky you!